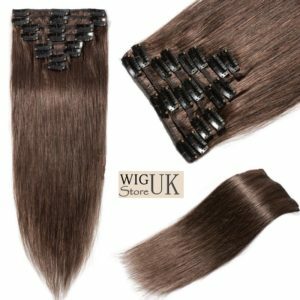 Blonde hair extensions, fabulous full set of clip in heat resistant blonde hair extension set. 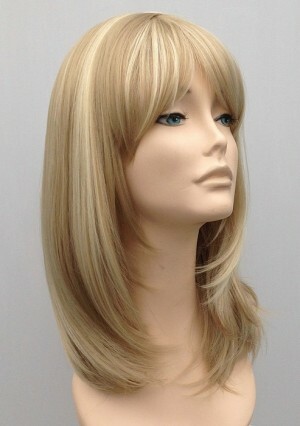 Lightest blonde colour shade, heat resistant fibre to style. 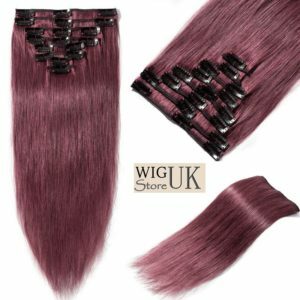 Red hair extensions, deep plum red colour shade, full set of clip in hair extensions made with heat resistant fibre to enable you to curl or straighten. 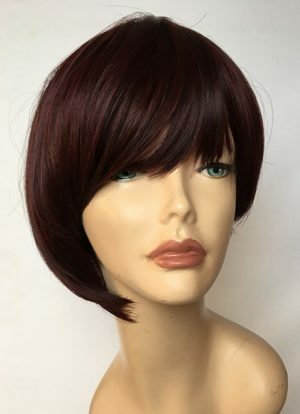 A modern ladies asymmetric cut bob wig in a fantastic burgundy and brown colour mix. 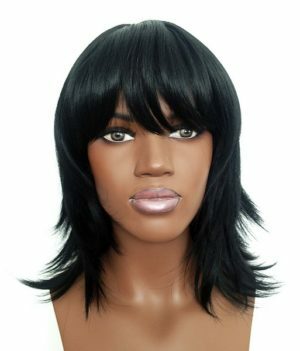 Fringe detail and set style, ready to wear lightweight wig. 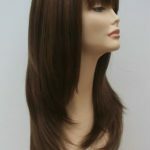 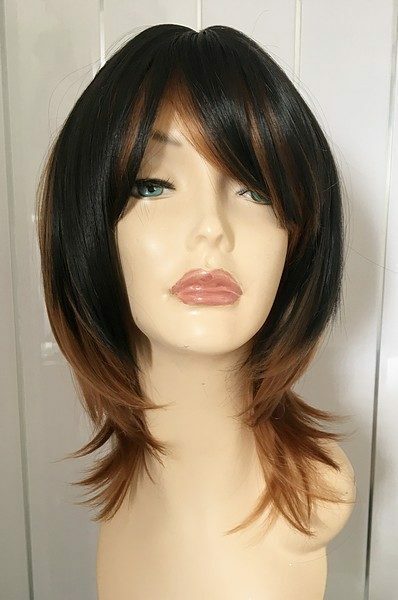 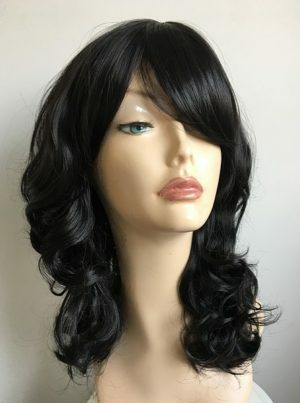 A natural look ladies mid length wig, stylish design with black and auburn mixed colour tones, a perfect ladies wig at a great price. 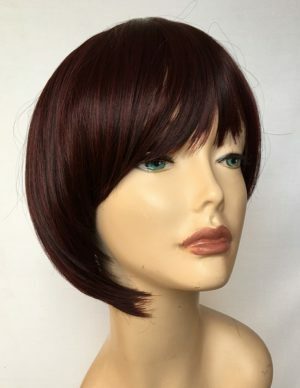 This ladies wig has layered styling to frame the face, fringe and a skin top parting. 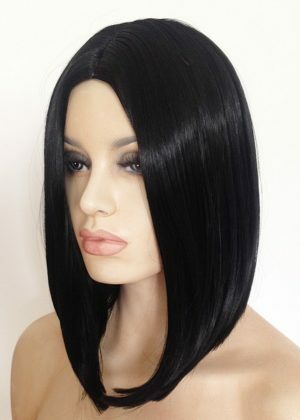 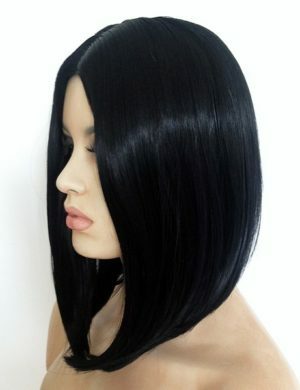 Straight ladies black bob wig with central skin top parting and no fringe. 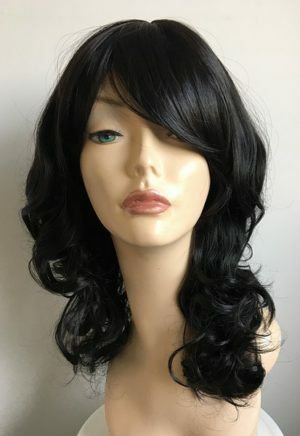 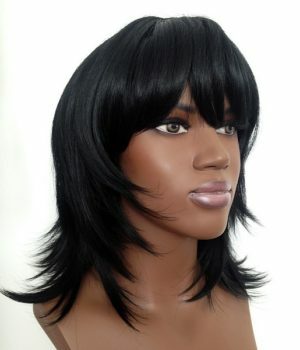 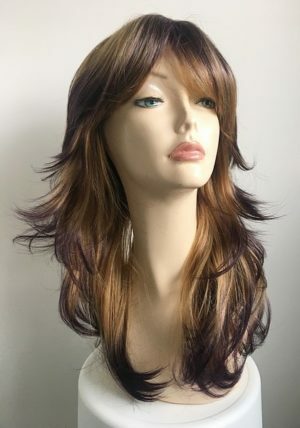 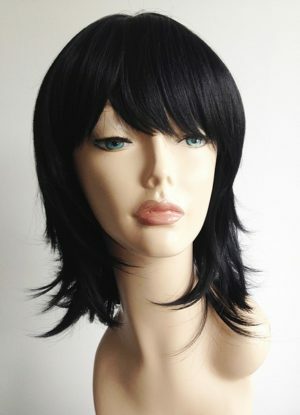 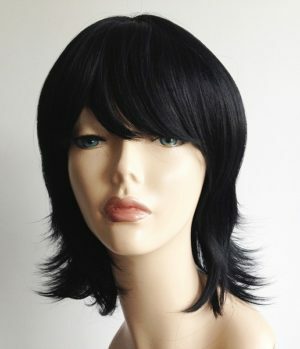 Modern styled ladies black fashion wig. 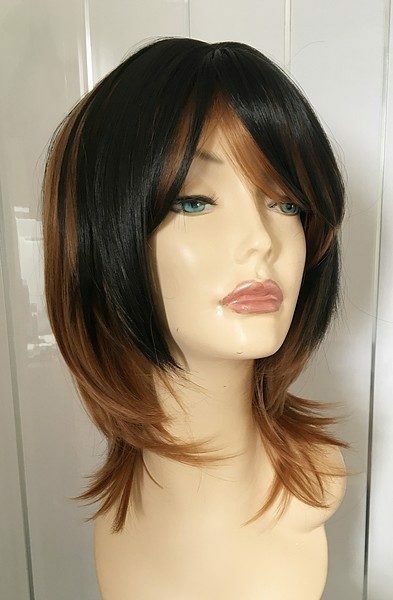 Stylish, modern and fashionable, this fabulous ladies full wig benefits from great styling, a warm natural black brown base colour, longer fringe and skin top parting. 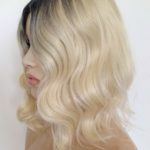 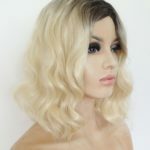 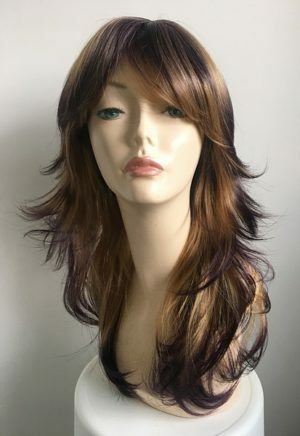 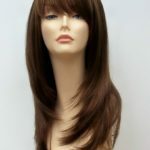 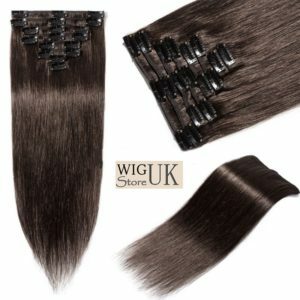 Synthetic wigs are a perfect choice for all uses, whether you are looking to purchase a wig for fashion or medical purposes we are sure you will find what you are looking for here at Wig Store UK.